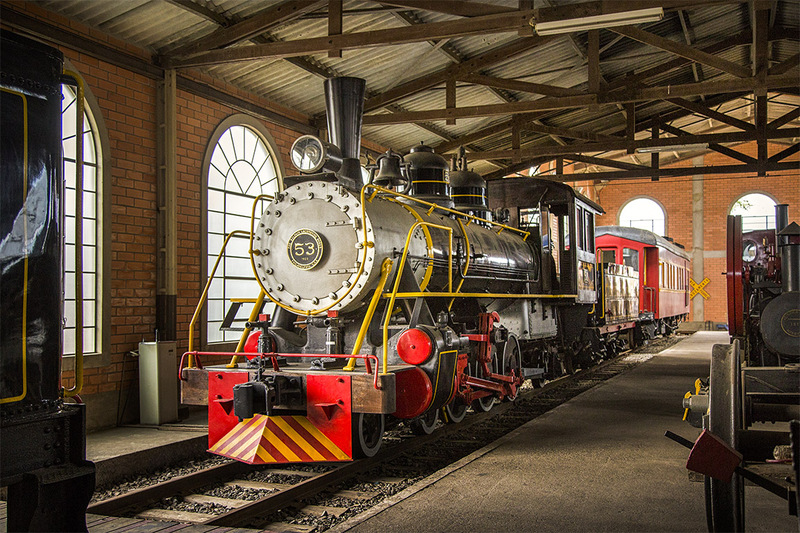 Description: Railway Museum preserves with great quality an important collection of the history of the railroad in the South of Santa Catarina: steam locomotives in different models of origin, passenger car, wagons, furniture, photographs, documents, films, videos, books, etc. 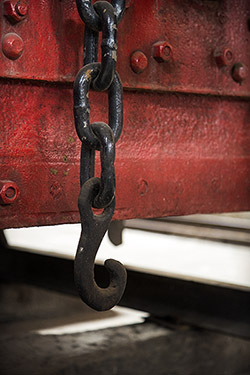 This collection conserves alive the railway memory of the south of Santa Catarina. The Railroad Railroad Dona Tereza Cristina was inaugurated in Tubarão on September 1, 1884, and its name was a tribute to the emperor D. Pedro II`s wife. The implantation of the railways allowed the transport of coal and passengers, bringing great development to the region. Location of these images was made with the participation of Mr. Eusébio Pasini Tonetto, Turismologist and Writer. Research Source: Teixeira, José Warmuth, 1933 - "Ferrovia Tereza Cristina: uma viagem ao desenvolvimento"/por José Warmuth Teixeira. 2. ed. rev. e ampl. - Tubarão: Ed. do autor, 2011. 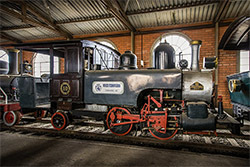 Description: This locomotive is part of the collection of the Railway Museum. 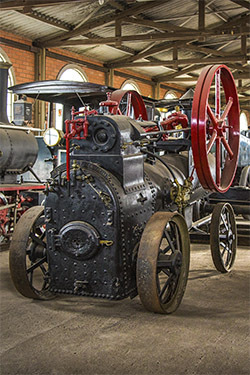 Railway Museum preserves with great quality an important collection of the history of the railroad in the South of Santa Catarina: steam locomotives in different models of origin, passenger car, wagons, furniture, photographs, documents, films, videos, books, etc. 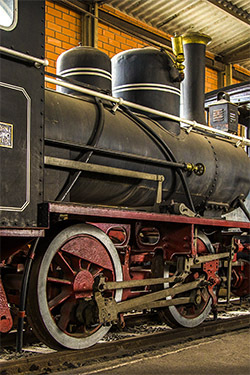 This collection conserves alive the railway memory of the south of Santa Catarina. 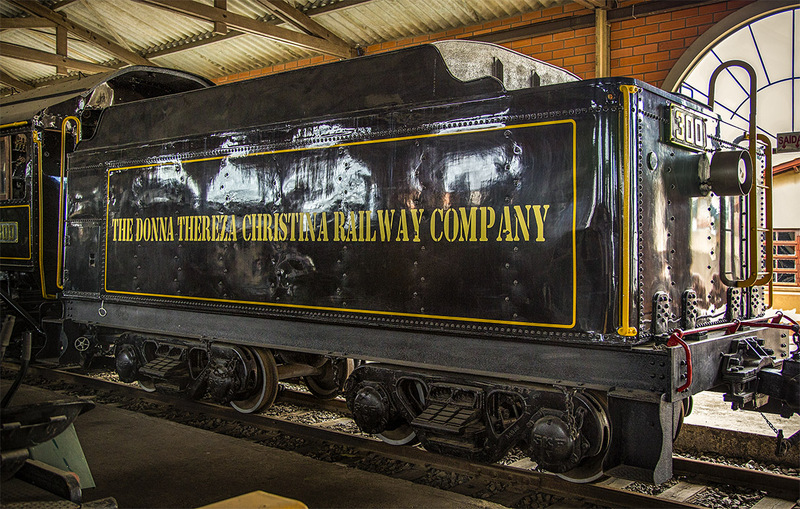 The Railroad Railroad Dona Tereza Cristina was inaugurated in Tubarão on September 1, 1884, and its name was a tribute to the emperor D. Pedro II`s wife. The implantation of the railways allowed the transport of coal and passengers, bringing great development to the region. 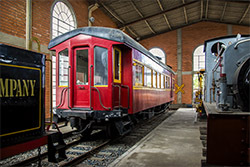 Description: This passenger car is part of the collection of the Railway Museum. 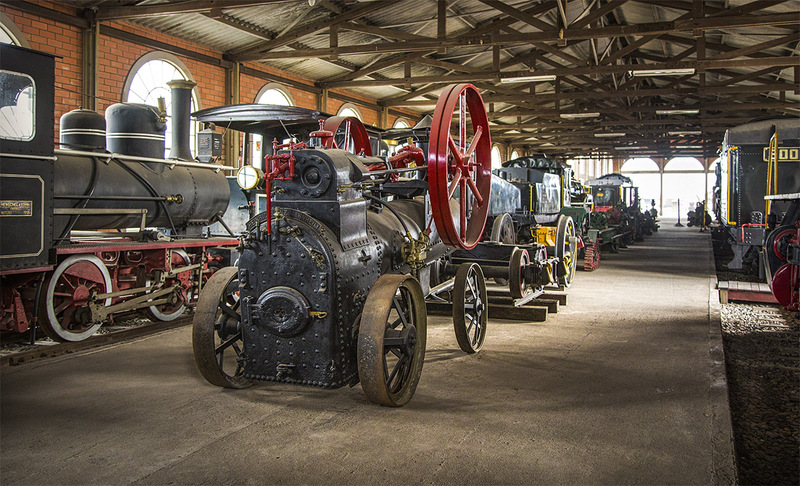 Railway Museum preserves with great quality an important collection of the history of the railroad in the South of Santa Catarina: steam locomotives in different models of origin, passenger car, wagons, furniture, photographs, documents, films, videos, books, etc. 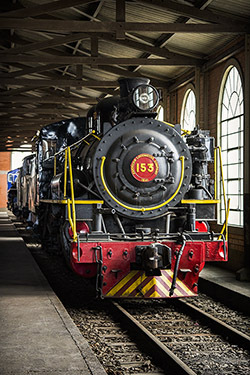 This collection conserves alive the railway memory of the south of Santa Catarina. 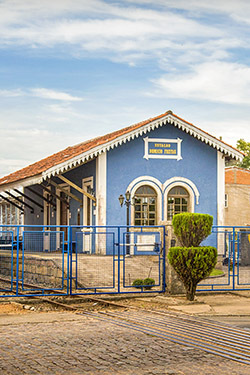 The Railroad Railroad Dona Tereza Cristina was inaugurated in Tubarão on September 1, 1884, and its name was a tribute to the emperor D. Pedro II`s wife. The implantation of the railways allowed the transport of coal and passengers, bringing great development to the region. Note: historical photograph belongs to the collection of Amadio Vettoretti Public and Historical Archive from Tubarão, Brazil. Description: This 19th century Railway Station belongs to the collection of the Railway Museum and was totally built keeping with fidelity the architecture of that time. 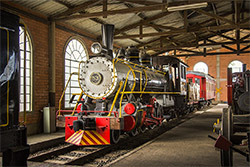 Railway Museum preserves with great quality an important collection of the history of the railroad in the South of Santa Catarina: steam locomotives in different models of origin, passenger car, wagons, furniture, photographs, documents, films, videos, books, etc. 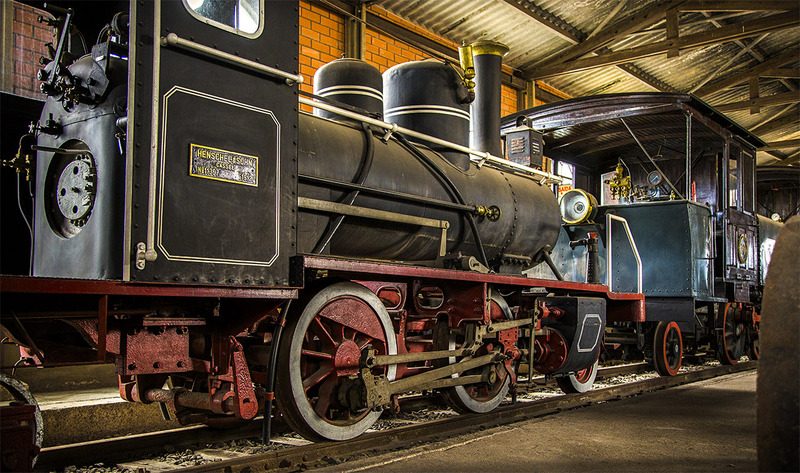 This collection conserves alive the railway memory of the south of Santa Catarina. 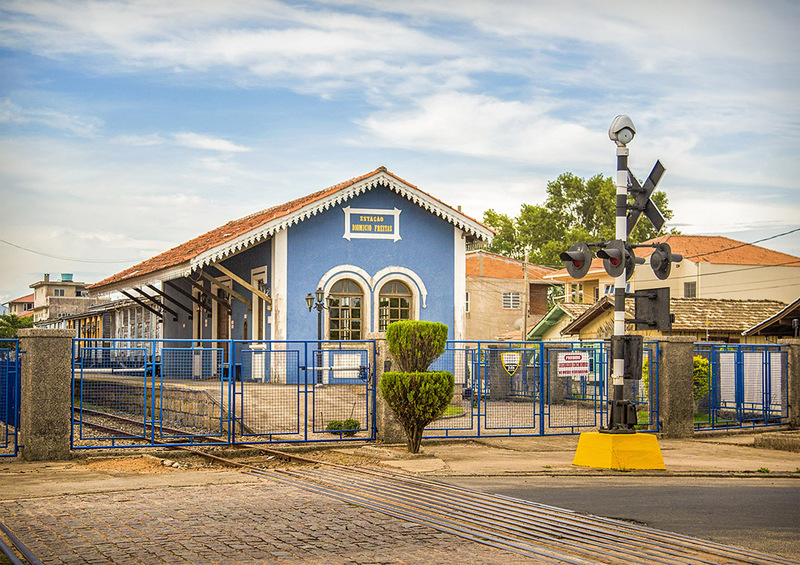 The Railroad Railroad Dona Tereza Cristina was inaugurated in Tubarão on September 1, 1884, and its name was a tribute to the emperor D. Pedro II`s wife. The implantation of the railways allowed the transport of coal and passengers, bringing great development to the region.